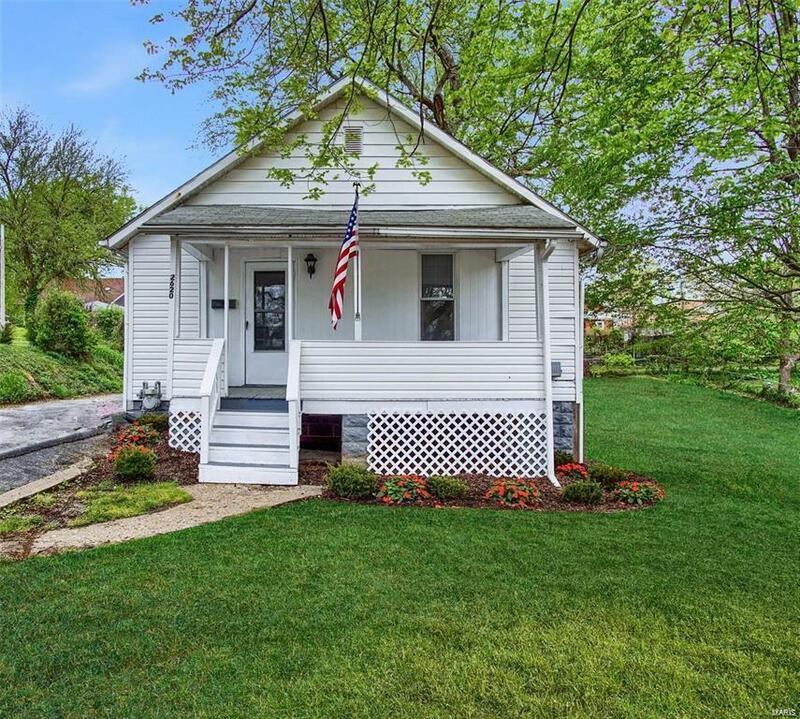 This Cute Country Cottage style Alton home is ready for it's new owner(s). 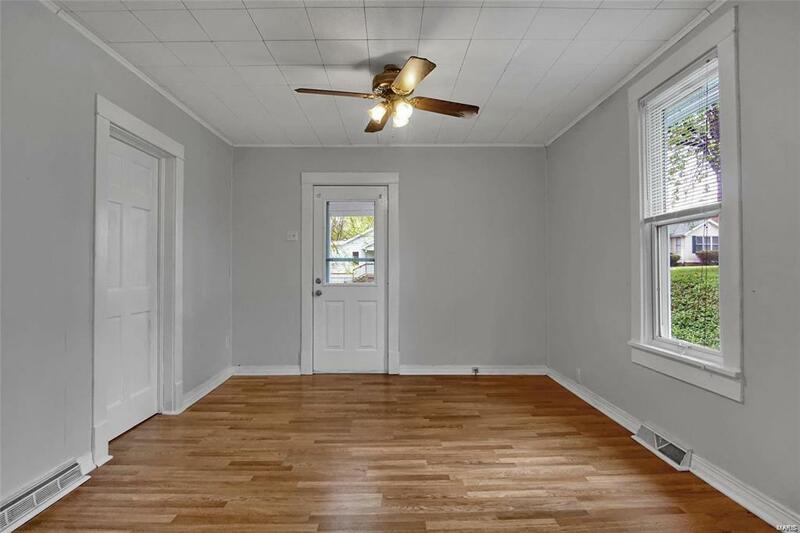 The location is convenient to Alton High School and walking distance to East Middle School, close to SIUE Dental School, Alton Hospitals and has easy access to St Louis. Close to bus route and new Amtrak facility. It boasts a covered porch entering into the main floor living room with dining area, kitchen with gas stove refrigerator dishwasher and microwave, and 2 nice sized bedrooms with full bath and laundry. Thermol windows and freshly painted with laminate flooring throughout the main floor. 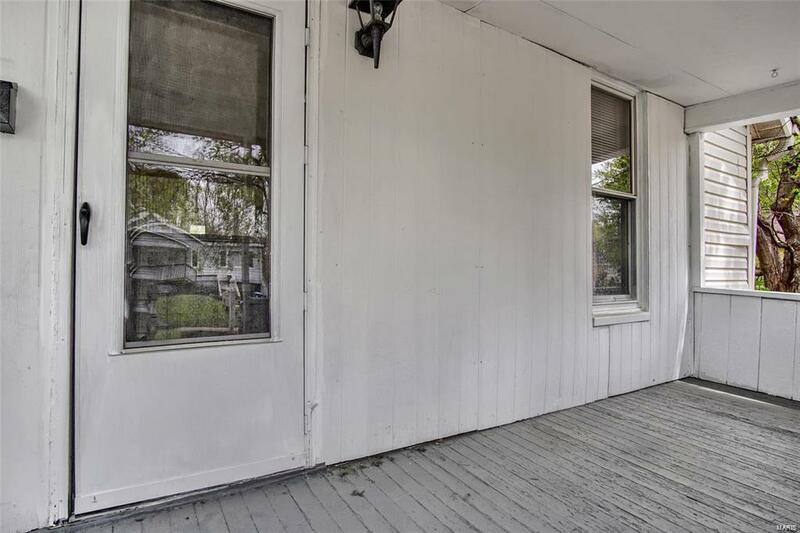 Basement has 2 walkout doors, also freshly painted with a family room, 2nd laundry area if needed and plenty of storage. Gas furnace, central air, new sump pump new roof and new electric water heater. 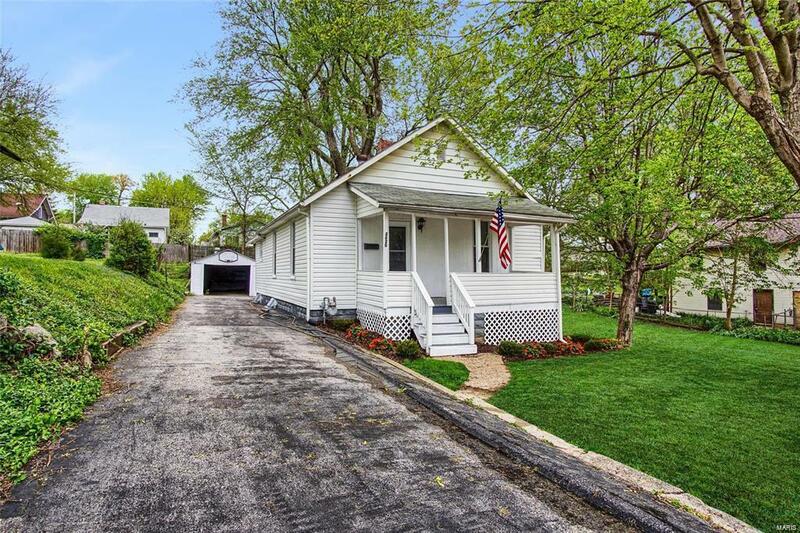 There is a one car detached garage with side carport, nice metal storage shed, all on a double lot. Some photos are virtually staged.